This unit lays down solution, scrubs and recovers in either direction. The BR 400 employs our high performance BR technology for cleaning and maintenance of virtually any hard floor surface, including tile in bathrooms and impression areas. Height adjustable transport wheels permit variable pressure. 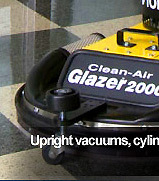 A convenient foot switch lowers and raises the squeegees while simultaneously starting and stopping the vac motor. 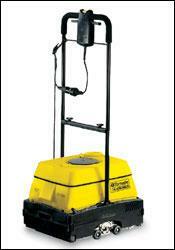 The BR 400 comes standard with soft brushes but add firm, grit or high/low, excellent for grouted areas. Confined areas are no problem for the unit.